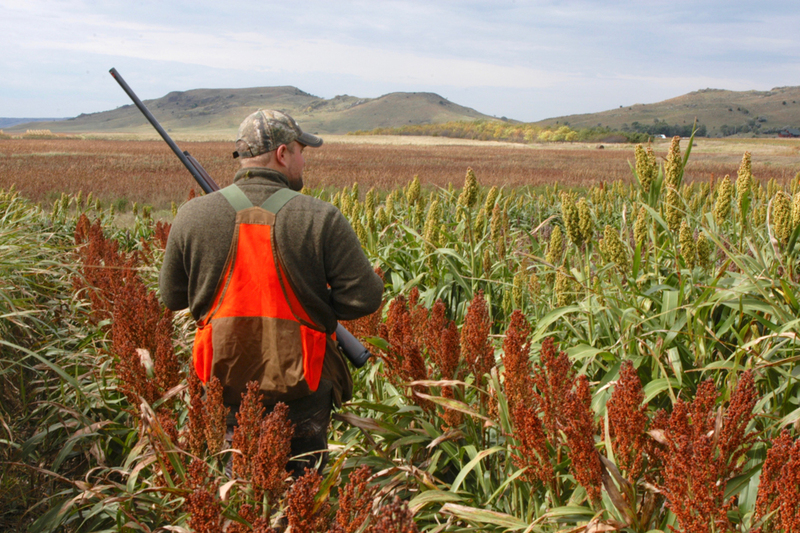 The 2018 Farm Bill is already being worked on, and sportsmen need to make their voices heard in order to ensure that it contains strong conservation programs. There’s a lot of excitement when hunting: a covey of quail blowing out over a point, a rooster erupting from cattails, the building tension as a flock of mallards circles. Before the shot, however, there often are monotonous miles walked and hours spent staring at empty skies. Making the laws that protect wildlife and habitat can be just as monotonous and testing. But they are critical to maintaining the excitement of the hunt. There are a number of laws that benefit wildlife: the Lacey Act, the Weeks-MacLean Act, the Migratory Bird Treaty Act and more. None was easy to pass through Congress. But passionate and committed people didn’t stop. One of the most important pieces of legislation for gamebirds and waterfowl is the Farm Bill. The next Farm Bill is due in 2018, and the politicking already has started. Especially for those who hunt grassland birds in the Midwest and Great Plains, the Farm Bill is almost synonymous with the Conservation Reserve Program (CRP), which started in the 1985 Farm Bill. As defined by the US Department of Agriculture: “In exchange for a yearly rental payment, farmers enrolled in the [CRP] agree to remove environmentally sensitive land from agricultural production and plant species that will improve environmental health and quality.” CRP originally was designed for “conserving and improving soil and water resources.” It had the added benefit of reducing grain surpluses and stabilizing prices. There was no mention of wildlife or habitat in the 1985 Farm Bill; however, those who remember the Soil Bank, an earlier Farm Bill program from the 1950s and ’60s, knew the birds would respond this time as they had then. Wildlife was mentioned in the 1990 Farm Bill Conservation Title. The Conservation Title is one of several “titles” in the Farm Bill and is the one that covers CRP and related programs. Under CRP, landowners are given an annual rental payment to restore cropland to perennial grasses and wildflowers. Contracts are typically 10 or 15 years. Landowners usually have the option of reenrolling their land in the program at the end of their contract. Rental payments vary, depending on the productivity of the soils. Nationally, CRP reached its peak acreage in 2007 at 36.8 million acres. However, the past two Farm Bills lowered the cap to 32 million and then 24 million acres. There were a number of reasons for lowering the cap, including budget reductions, moving money between programs within the Farm Bill, and high commodity prices that dropped demand for the program. In the past couple of years, with low prices and high inputs, some corn producers have been losing more than $100 per acre. CRP is guaranteed income. With the shrinking acre caps, many states have lost almost half of their acreage in CRP in just the past decade. By 2016 Iowa had lost 585,000 acres, Kansas 1,219,000 acres, Minnesota 770,000 acres, Nebraska 619,000 acres and South Dakota 691,000 acres. Pheasant harvests have mirrored this decline. Between 2007 and 2014, when the most recent Farm Bill was passed, pheasant harvests had declined 47 percent in South Dakota, more than 60 percent in Iowa and Nebraska, and more than 70 percent in Kansas and Minnesota. All states saw harvests increase in 2015, thanks to good nesting conditions, but they were still far below 2007 numbers. During the next four years 2,642,000 acres of CRP contracts are expected to expire in those five states. In the past many of those acres would have been reenrolled. However, this will be more difficult with the lower caps. CRP is popular with landowners. Unfortunately, acres available in the program aren’t meeting demand because of the caps. In the most recent general sign-up, only 28 percent of the acres that Nebraska landowners wanted to enroll and 21 percent of Kansas’s were accepted. Fifteen percent of Iowa’s and 9 percent of Minnesota’s were accepted. Because South Dakota was so close to its cap, only 101 acres were accepted of the 42,352 acres that landowners offered. CRP is one of the best-known conservation programs in the Farm Bill, but there is an alphabet soup of other programs, including CCRP (Continuous Conservation Reserve Program), CREP (Conservation Reserve Enhancement Program) and CSP (Conservation Stewardship Program). The RCPP (Regional Conservation Partnership Program) is new. One of the first RCPPs involved managing young forests in Minnesota, Wisconsin and Michigan for golden-winged warblers, benefitting woodcock and grouse habitat. The Farm Bill also can be used to protect existing habitat. Swampbuster began in the 1985 Farm Bill and discourages wetlands drainage by making those lands ineligible for some payment programs. Sodsaver was introduced in the 2014 Farm Bill and discourages plowing native grasslands by making those acres ineligible for some payment programs as well. 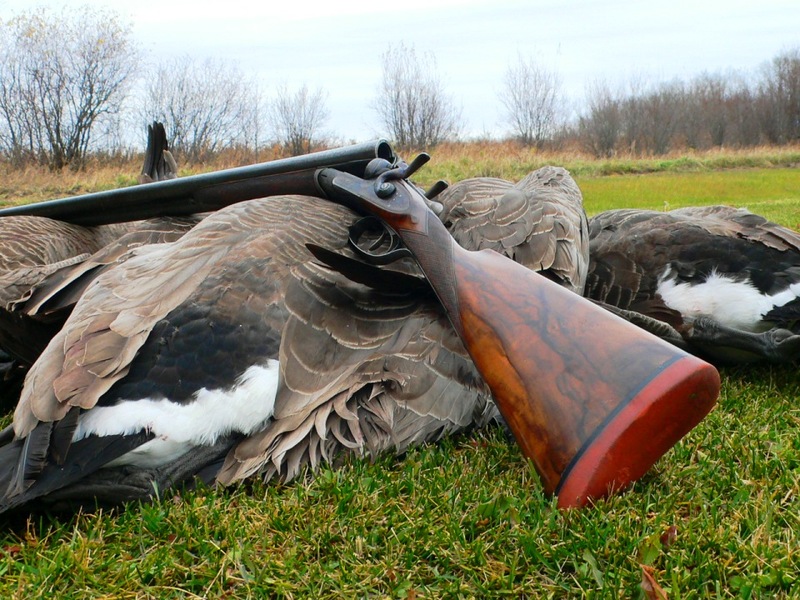 Hunters can and must be engaged in ensuring a strong conservation title in the next Farm Bill. For all advocacy work, coordinate with local and state chapters of conservation organizations such as Pheasants Forever, Ducks Unlimited, and the Ruffed Grouse Society. Coordination allows everyone to use the same talking points. Of course, not everyone in the conservation community will agree on every detail, and that’s fine. But the more we can sound like a unified voice, the better. If your senator or representative is on one of the agriculture committees, you have a special responsibility to make your voice heard as the Farm Bill is being developed. A list of committee members is found at agriculture.house.gov and agriculture.senate.gov. Call your senators and representatives, and tell them that the Conservation Title of the Farm Bill is important. Monitor what your favorite conservation organization is proposing for the Farm Bill, and then call your senators and representatives and make those specific requests. Random calls are fine but aren’t nearly as effective as phone calls right before crucial decisions or votes are made. When you get an alert about a crucial vote, drop what you’re doing and call. For many of us, hunting is our means of getting away from it all. But this is one of those times when conservationists need to get involved. No matter what you hunt and where, the Farm Bill Conservation Title probably affects those habitats and birds in some way. Hunters must play a role and make their voices heard. For more information on CRP, visit crpworks.org. Greg Hoch currently lives in Minnesota’s prairie-forest transition, where he daily enjoys seeing waterfowl, pheasants, grouse and woodcock. Montana sportsmen have fought for access to recreational opportunities on public land. Blocked access is an issue across the West.